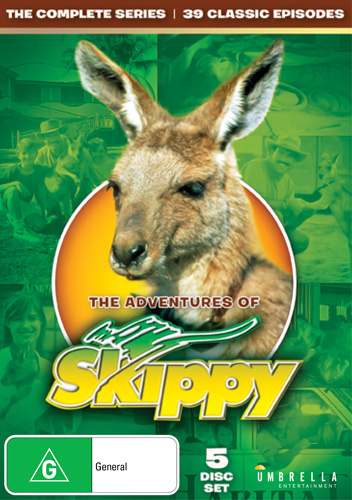 Win The Adventures Of Skippy: Hop to it to take home this much-loved Aussie icon | SWITCH. Since 1967 Australia’s most famous kangaroo, Skippy, has been a worldwide favourite. The original series has been seen in nearly every country in the world since then and she’s back in 'The Adventures of Skippy'. Sonny Hammond (Andrew Clarke, 'Sword of Honour', 'ANZACS') has grown up and, like his father before him, is a park ranger and co-owner of Habitat - a small animal park on the river behind Surfers Paradise. He’s also a widower with two twins, Louise (Kate McNeil) and Jerry (Simon James). Rescued from the aftermath of a hit-and-run accident Skippy, the beloved fourth member of the Hammond household, leads the family on all sorts of wild adventures. The 'The Adventures Of Skippy' competition has now closed. Winners will be announced shortly. 'The Adventures of Skippy' is available on DVD on Wednesday the 4th April 2018 from Umbrella Entertainment. Discover more about this and all of their titles at www.umbrellaent.com.au.